Worldwide accepted: the speaker stand 214/6 ‒ robust and sturdy. All clamps are high quality zinc die-cast. The leg construction and large fixed foot end caps enhance safety and stability. This professional stand is TÜV (German Technical Supervisory Agency) approved for a maximum central load capacity of 50 kg. Other features are the pull-out guard for the extension tube, the integral anti-shock component and comfortable height adjustment with spring-loaded bolt and locking screw. 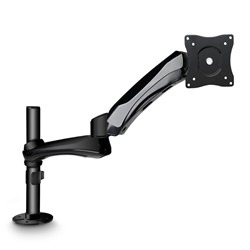 Comes with a mounting aid on the extension rod. 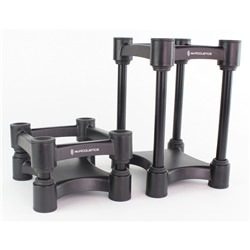 These stands are amazingly sturdy and of a fantastic quality. 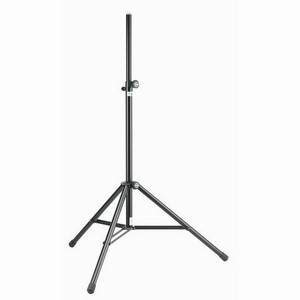 I shopped around for something that would be good for holding large Active PA Speakers and these stands do the job with ease. Highly Recommended. Excellent stands. 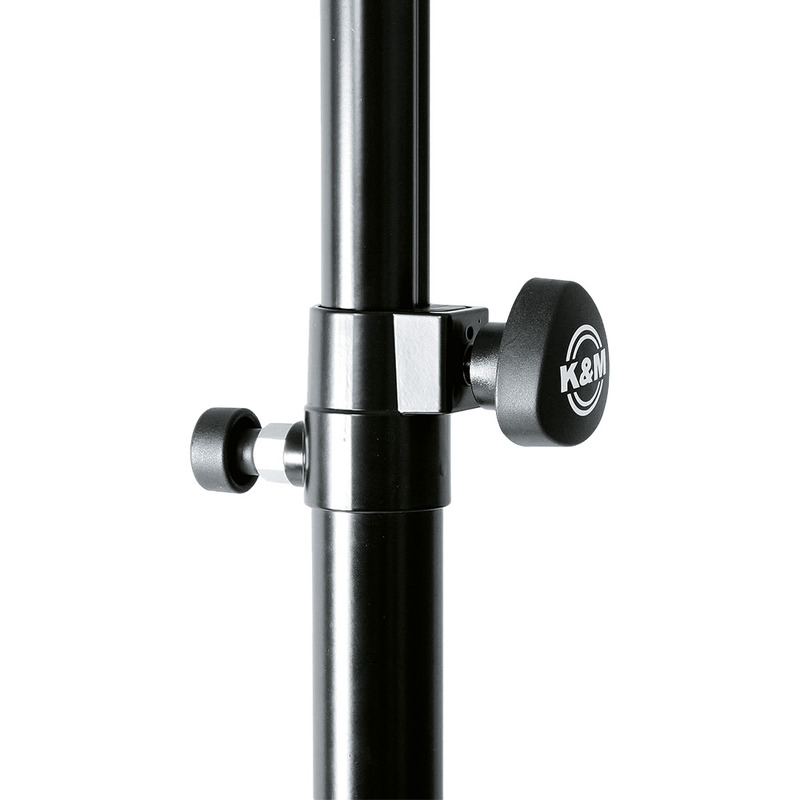 I was after a top quality stand to support some fairly heavy active cabs, so I instantly thought K&M and they did not dissapoint! 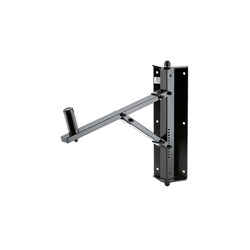 Reassuringly heavy, Made of high quality components and metal these will last forever! I particularly like the sprung pin that instantly locks the height adjustment pole into place safely with a positive 'clunk' and the double braced legs which root it firmly to the floor. 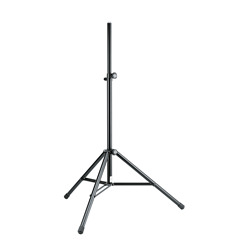 These are not the cheapest of stands on the market by any means, however its reflected in the quality. So it is a worthwhile investment to know my expensive active cabs are mounted in the air safely and firmly night after night with no movement in the stand whatsoever.